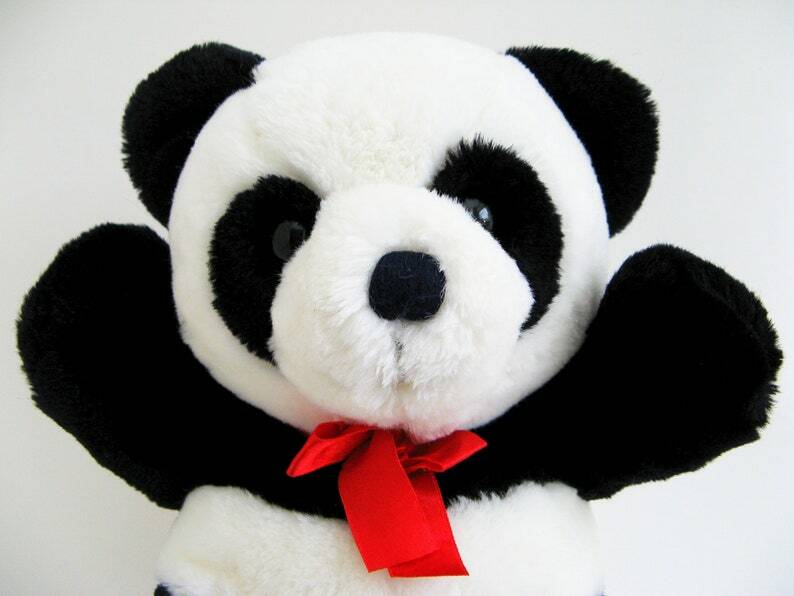 Adorable vintage Cuddles Panda Teddy Bear by Dakin. About 14 inches (35 cm) tall from ears to feet. © 1979, 1987 DAKIN, INC.